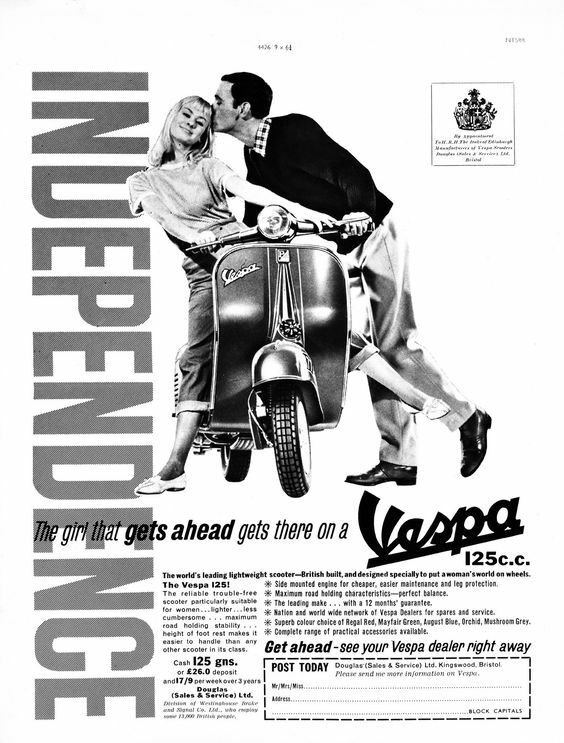 We’re big fans of the Vespa scooter here at VoEA and for the sake of fairness and impartiality we also admire the svelte lines of Lambrettas too. 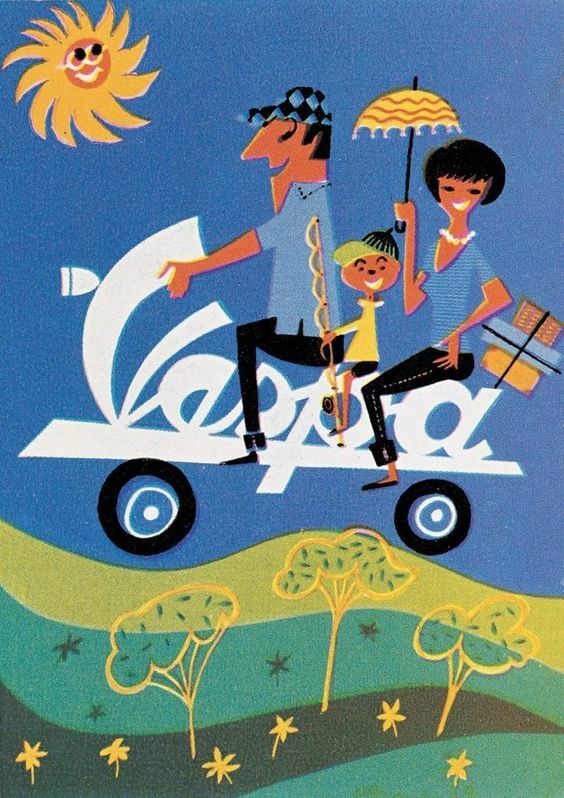 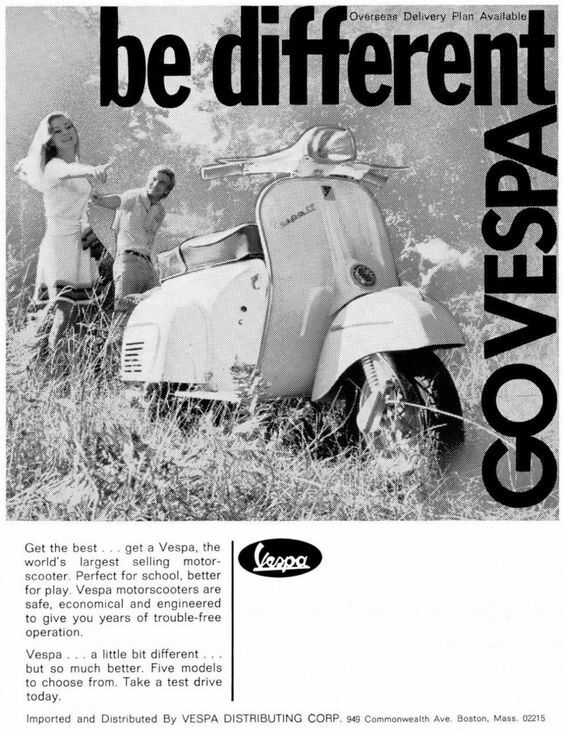 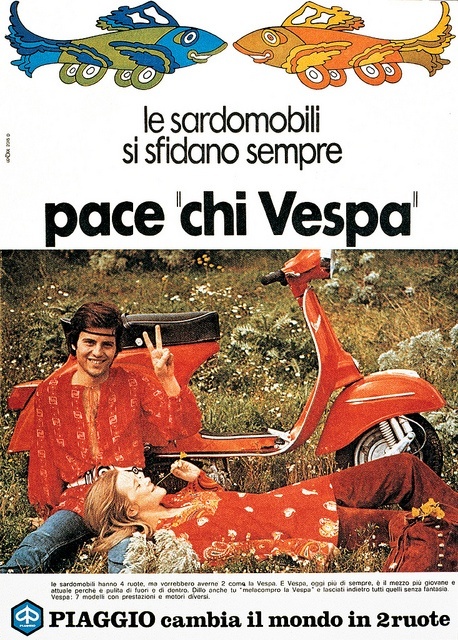 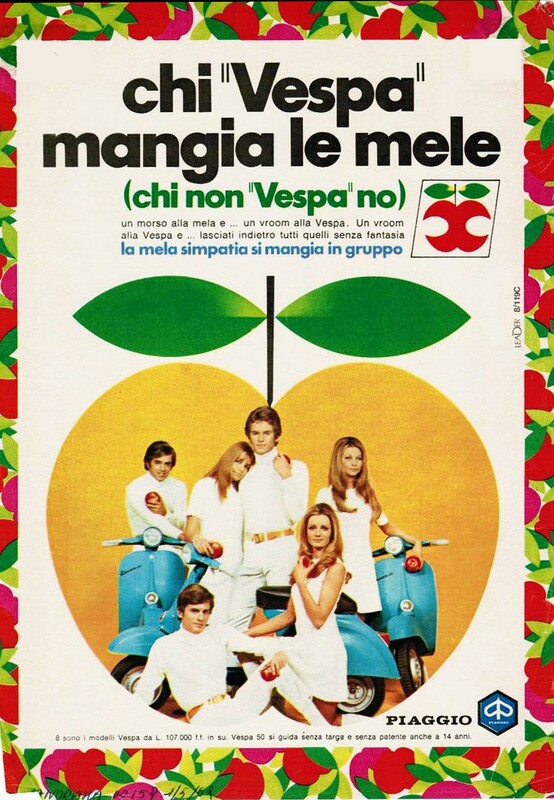 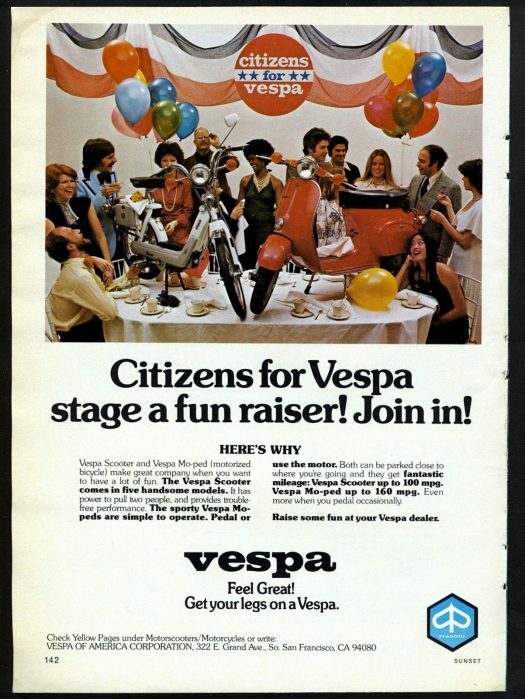 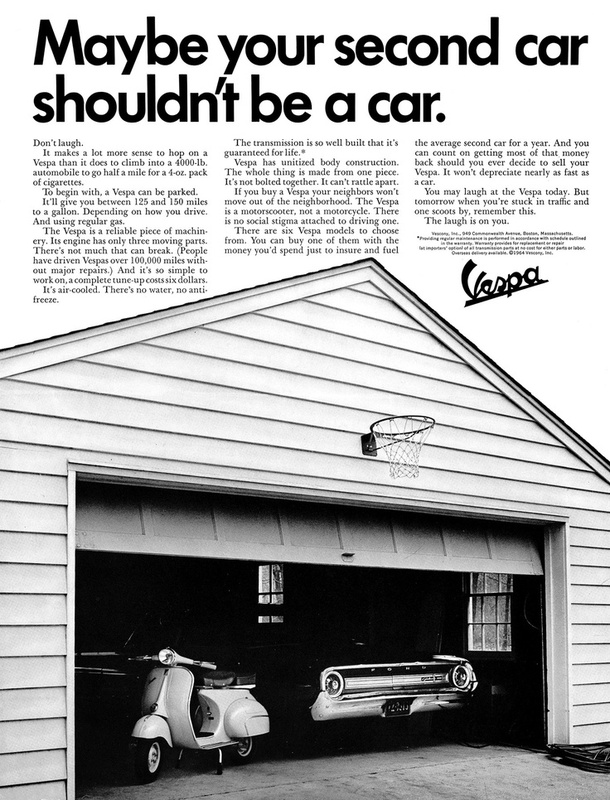 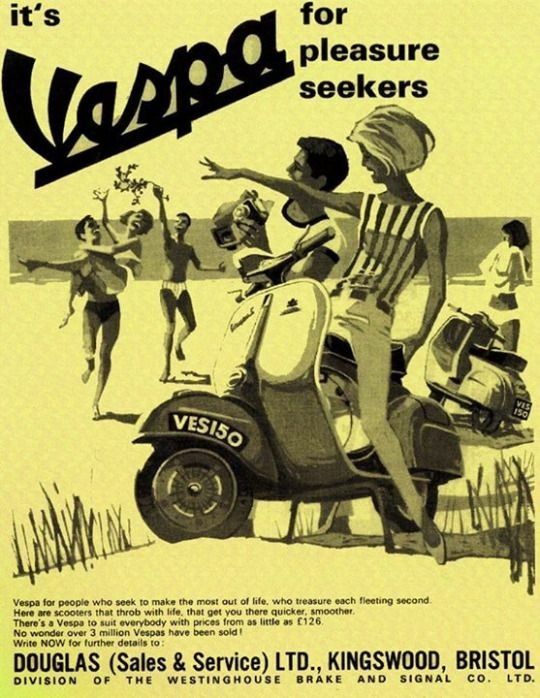 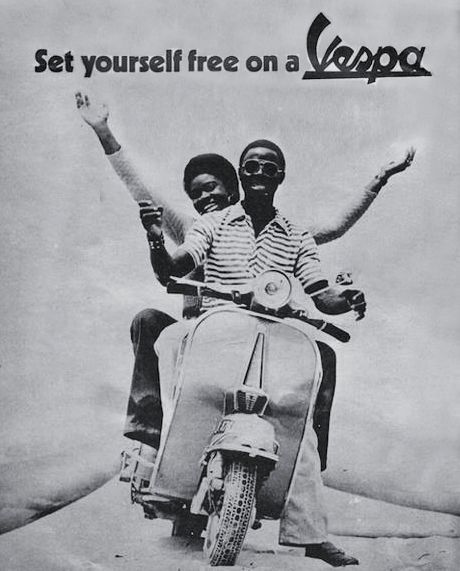 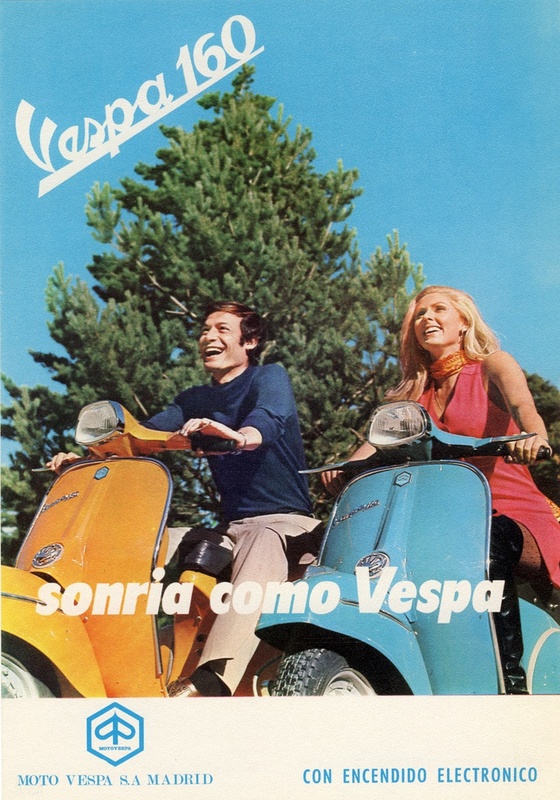 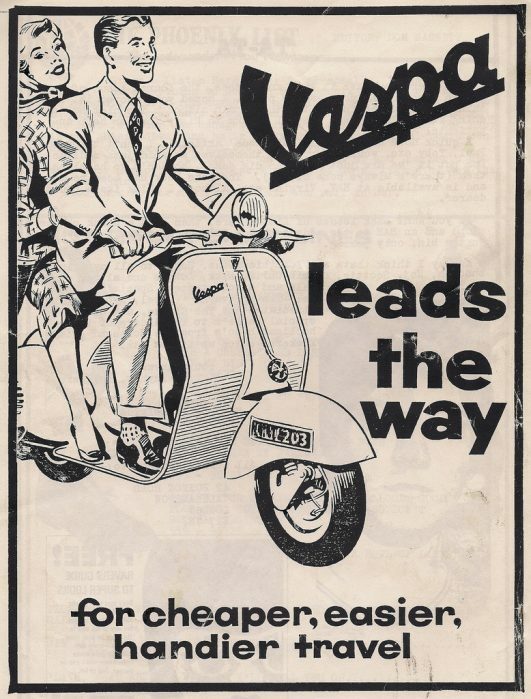 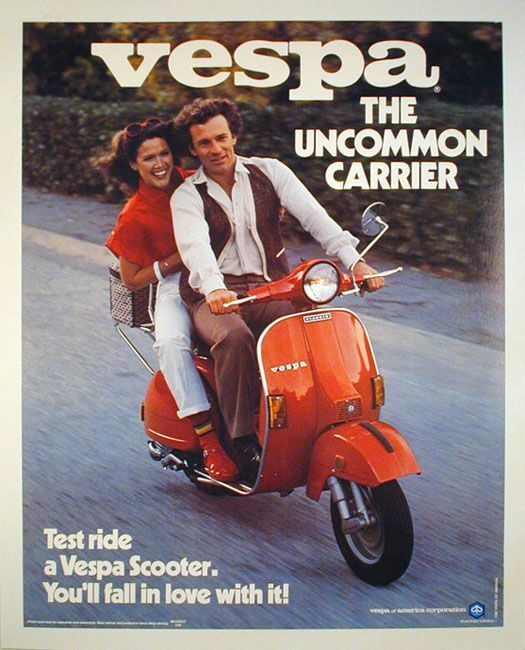 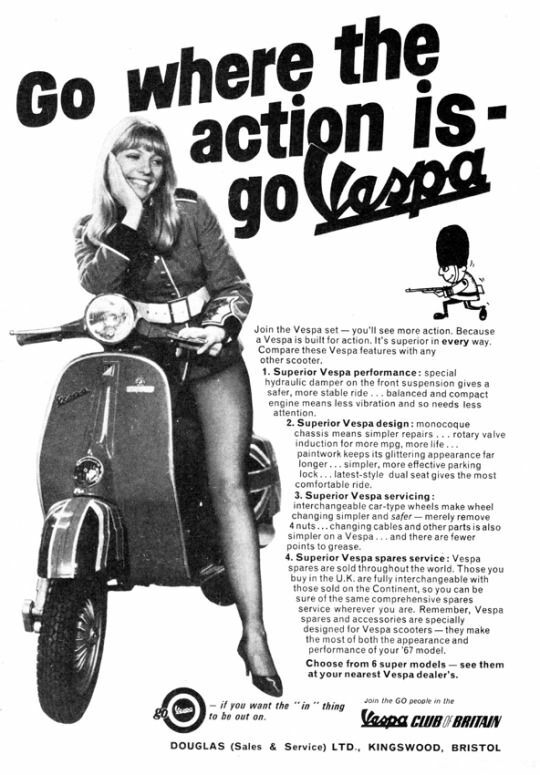 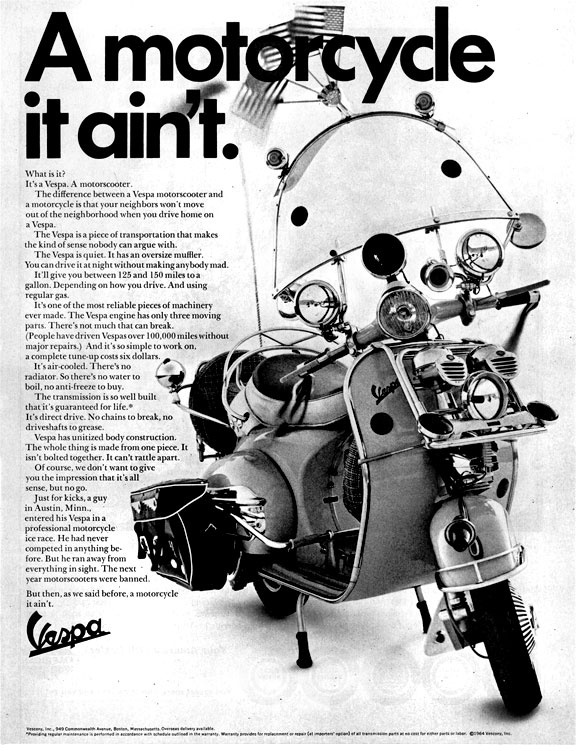 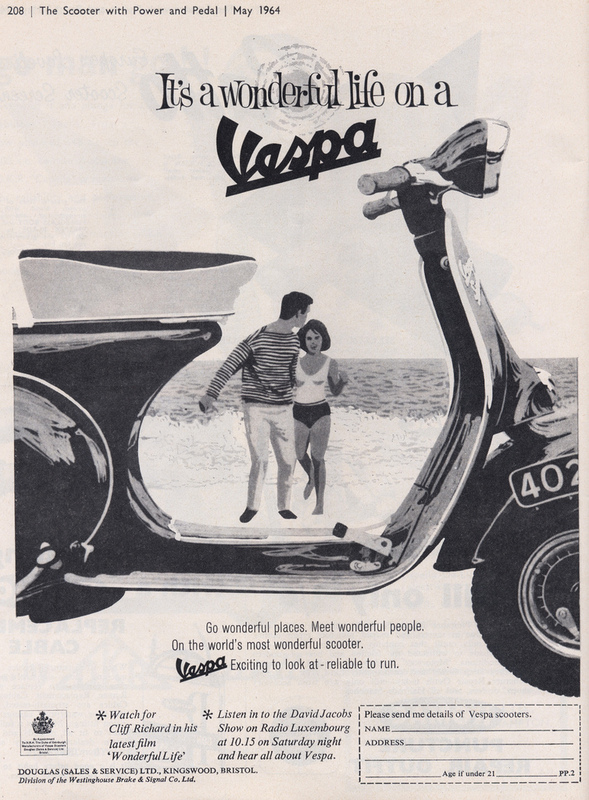 However, here the focus is firmly on Piaggio’s finest with some rare ads we’ve not seen before and bear in mind we’ve been around for a while and seen a lot of Vespa advertising over the years. 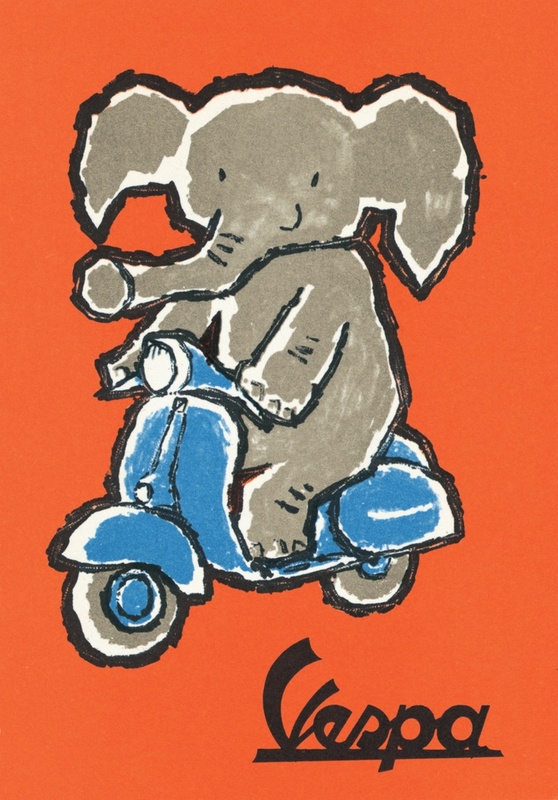 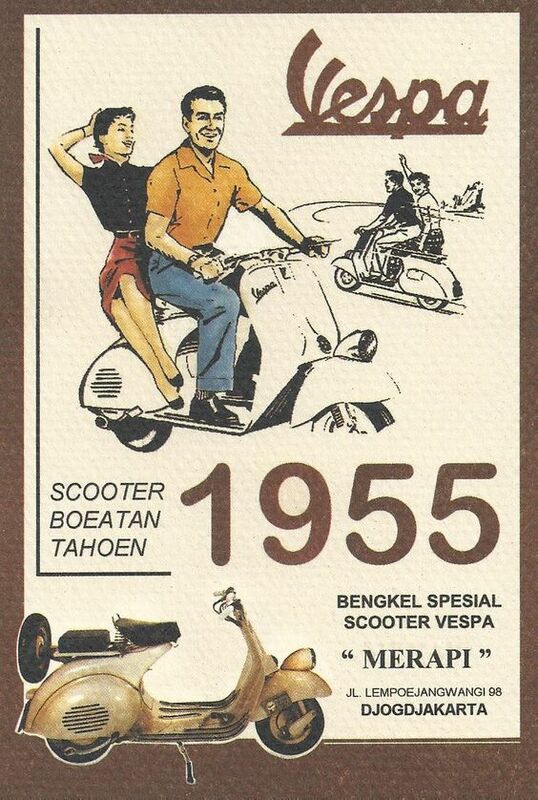 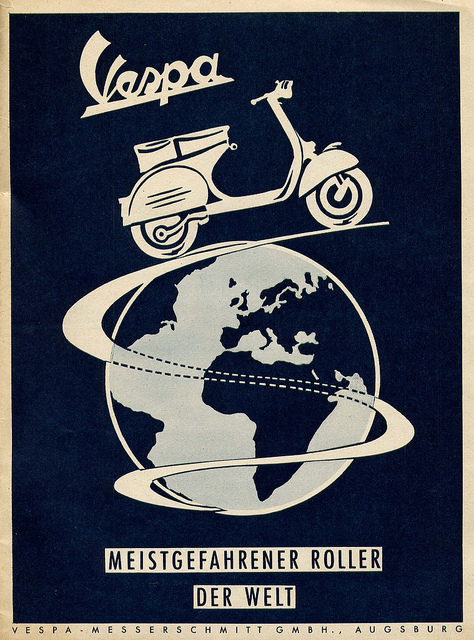 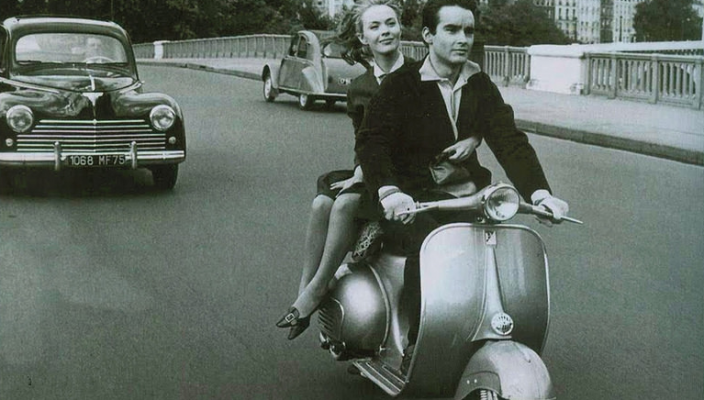 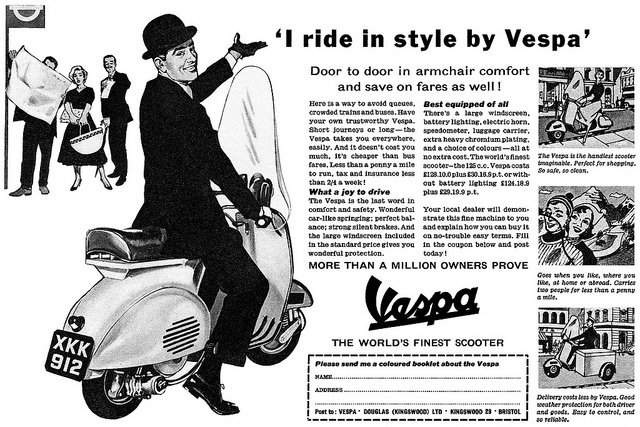 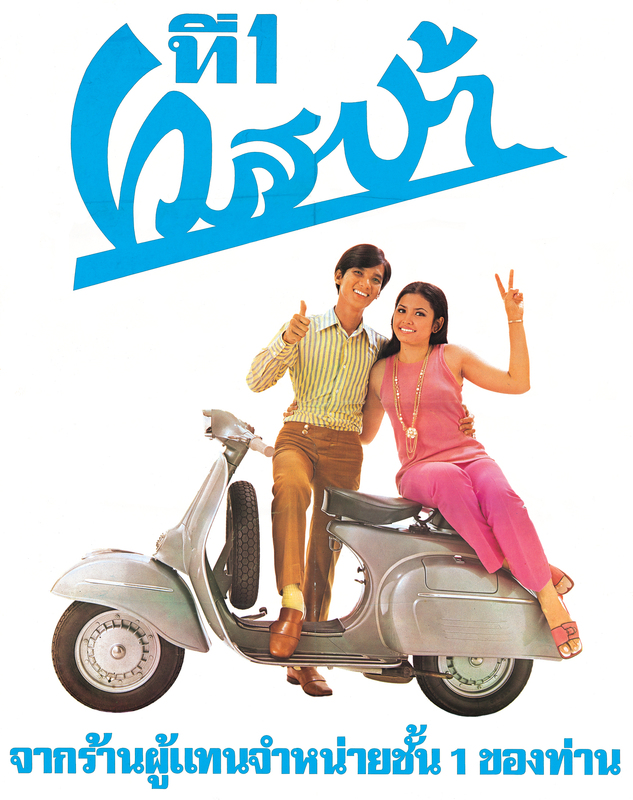 To give those of you who are not scooter fanatics a bit of background; the Vespa was born out of the post-war depression. 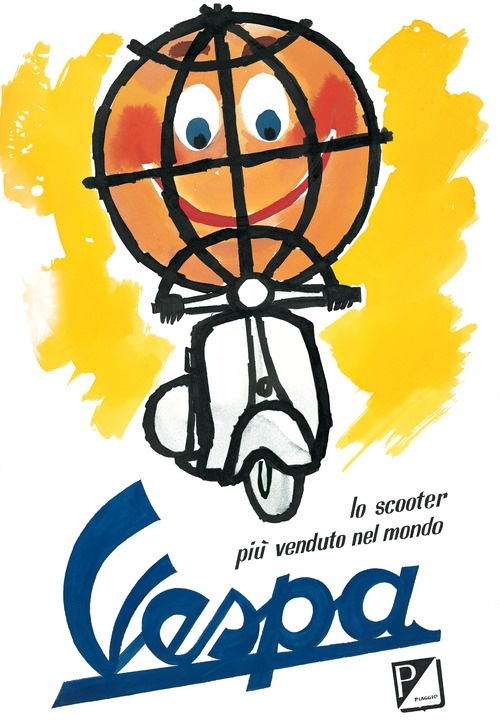 Italy had its aircraft industry virtually annulled because of their agreement with the Allies to cease war activities including the building of aircraft and the ruined economy alongside the perilous state of the roads meant the re-development of car markets was a long way off. 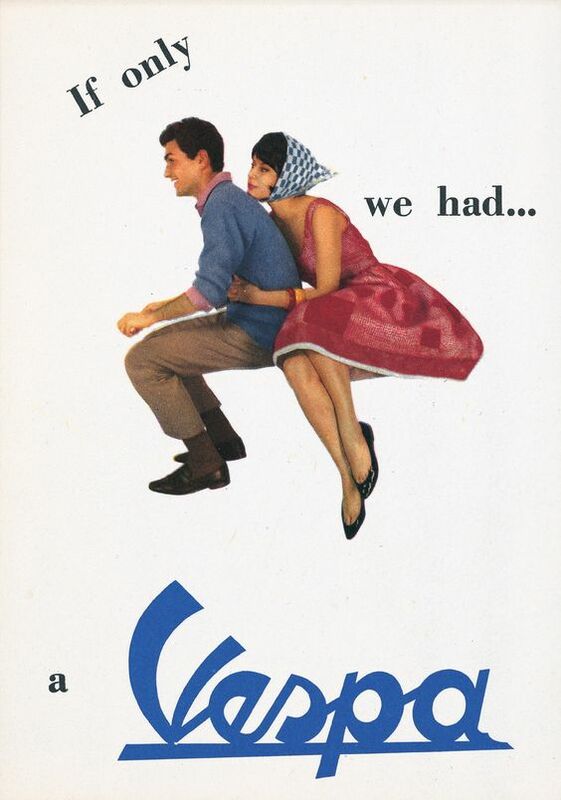 What they needed was a cheap and reliable form of transport for the masses to get everyone mobile once again. 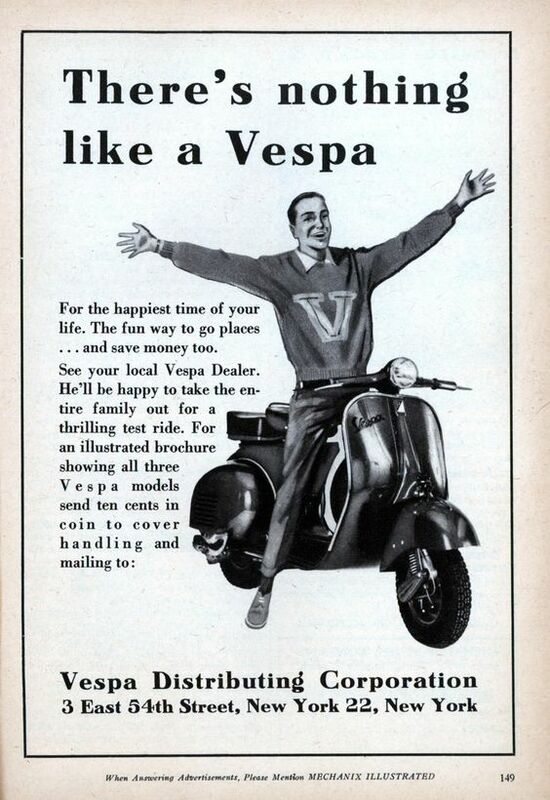 The Piaggio company had been building aircraft since the start of World War II but when its factory was decimated by Allied bombing at the end of the war they realised they needed to find another way to make some money. 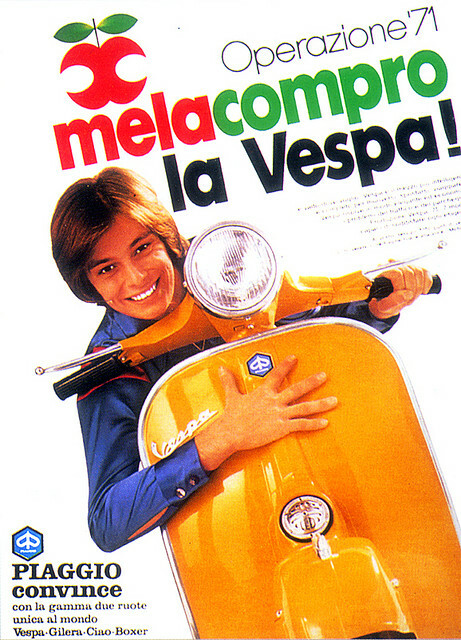 Enrico Piaggio, son of the company founder Rinaldo Piaggio, quickly saw the need for mass transportation and set about commissioning his first scooter design. 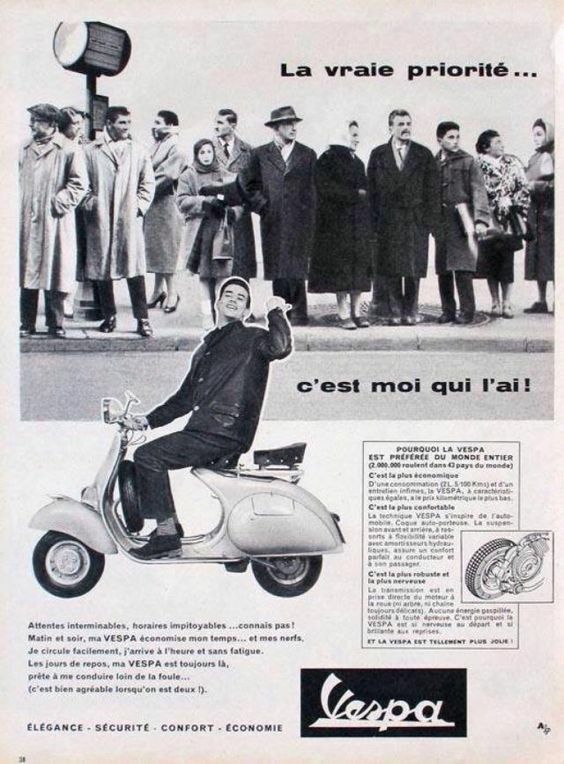 Based around the design of the American Cushman scooters that had been used extensively by US troops in Italy during the war (they were parachuted in and were known as Cushman Airbornes) the MP5 was designed by Piaggio engineers and the end result was much like a Cushman but with an enclosed body. 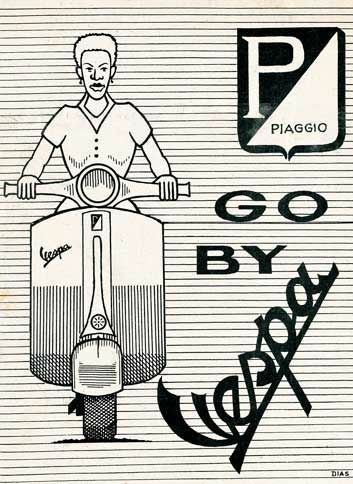 Enrico Piaggio was not happy with this design and approached aircraft designer Corradino D’Ascanio who had also worked with Fernando Innocenti on the design of the first ever Lambretta. 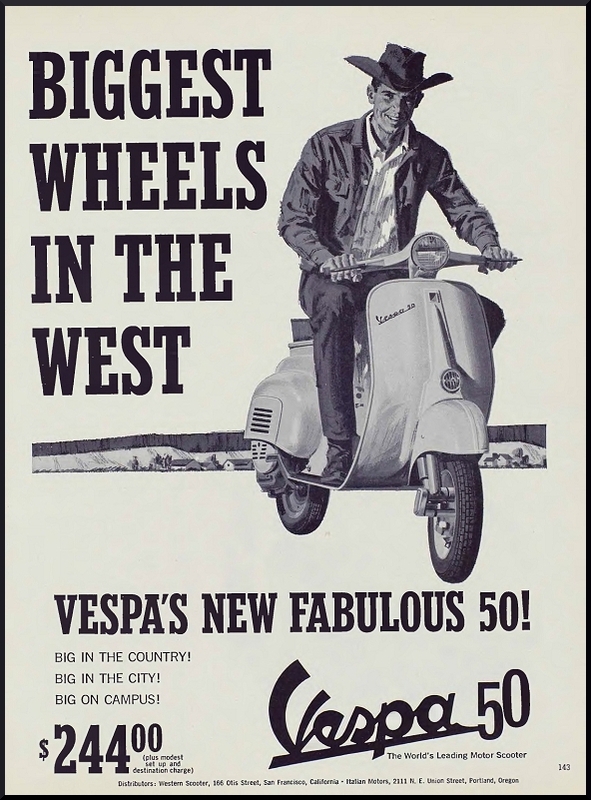 (D’Ascanio also designed the first ever production helicopter and had worked for Piaggio during WWII). 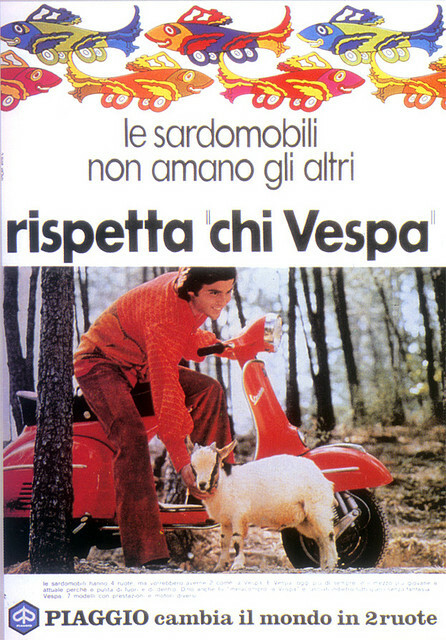 D’Ascanio hated motorcycles believing they were dirty, bulky and unreliable and gave Piaggio a design very similar to the one he had been working on for Innocenti before they had parted company after a fall out over production methods. 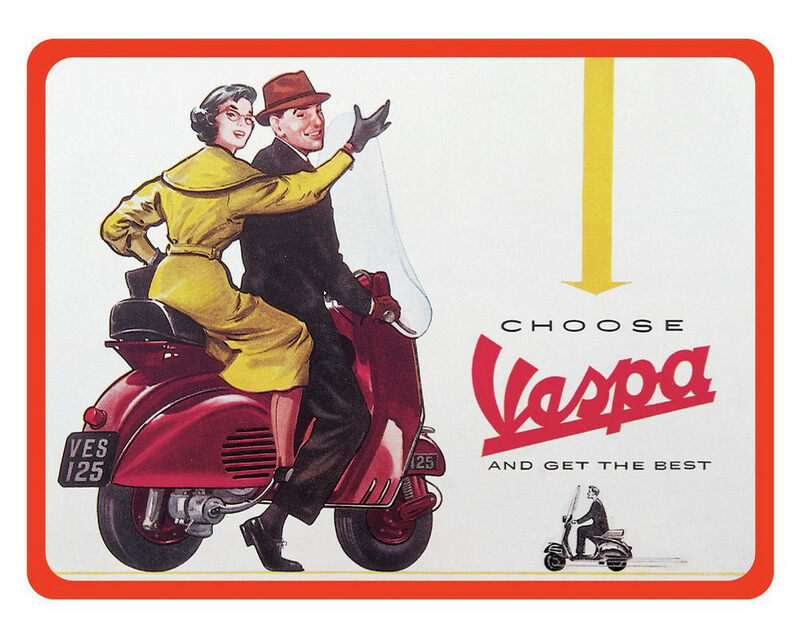 When Piaggio first saw D’Ascanio’s design he professed: “Sembra una vespa” meaning “it resembles a wasp” and the rest as they say is history. 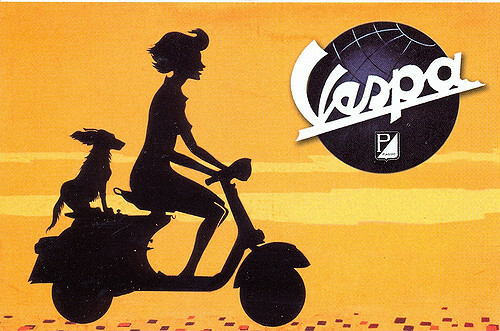 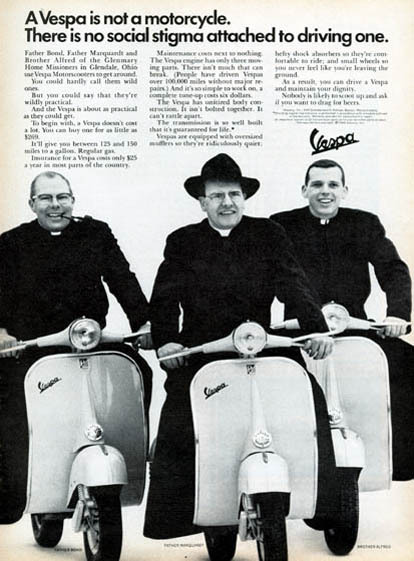 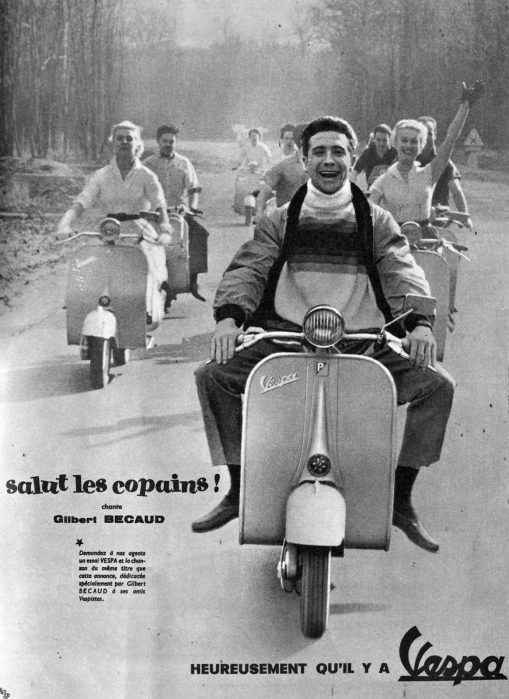 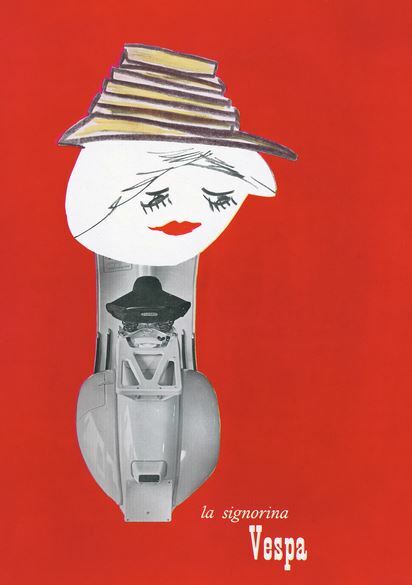 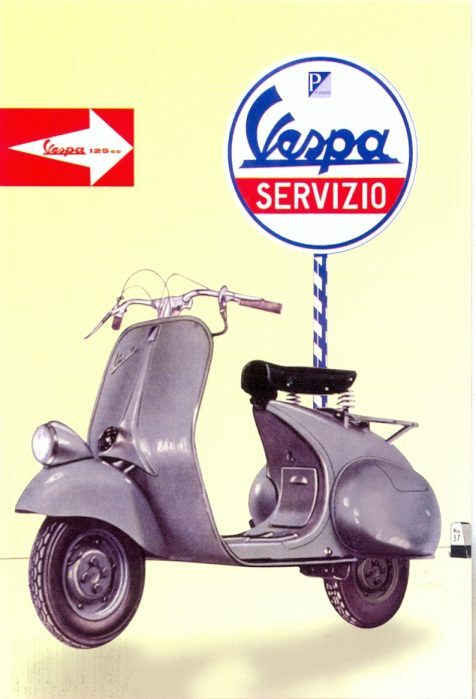 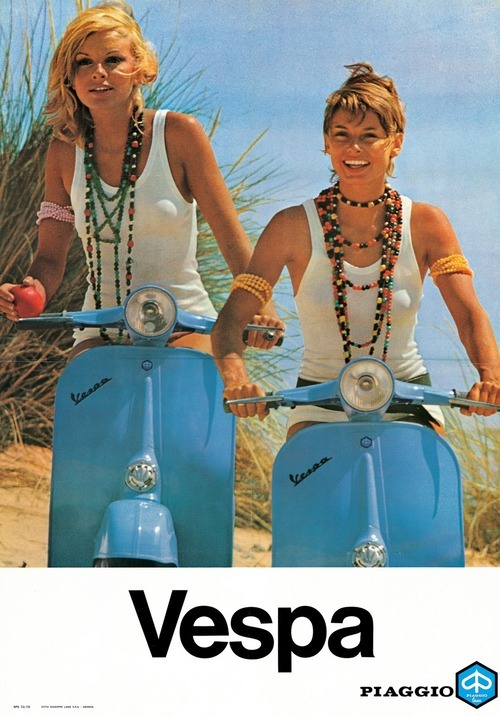 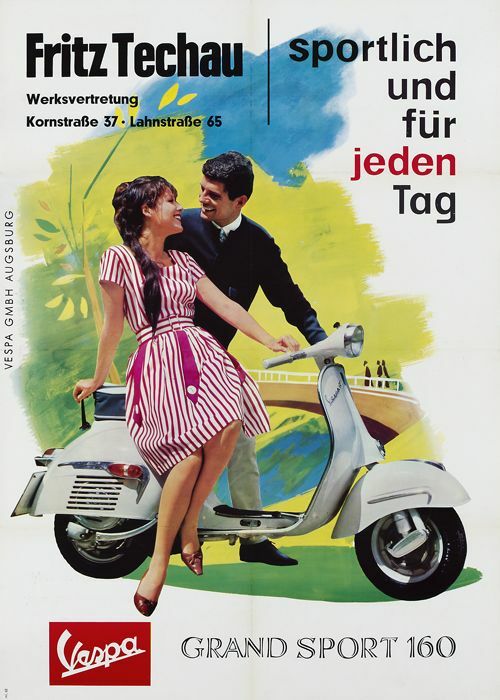 The design was an instant success and since its first inception way back in 1946 some 16 million Vespas have been sold.